"Baz & Fred’s, is known for its fantastic pizzas cooked in the Chadwick Oven. 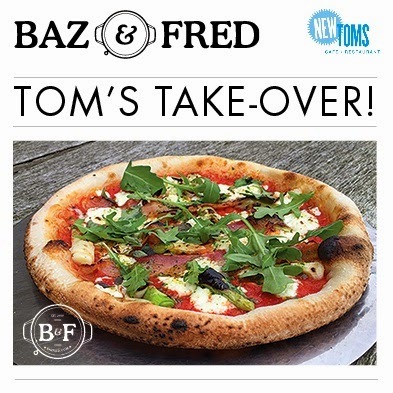 Baz & Fred’s is a Gloucestershire based Pizza Company making the move to London. They will be taking over New Tom’s Restaurant in Westbourne Grove for Friday & Saturday evenings starting on the 6th March. Expect great pizzas & beers at reasonable prices. Full menu revealed on the night."